This is the winning essay in the 2014 HART Essay Scholarship Competition, written by Rebecca Thomas. A constant within the discourse of stigma that certain diseases attract is the notion of immorality; that disease is a punishment for sin. Along with HIV/AIDS leprosy carries a huge burden of stigma imbued with notions of sin, which provokes human rights violations against those affected. As a result of both moral judgement and fear that the disability-causing disease is highly contagious, people affected by leprosy worldwide have been cast out from their communities and forced to live in isolation. In India, discrimination was cemented in legislation through the Lepers Act, 1898, and although the Act has now been repealed, people living with leprosy are still denied access to education, employment, healthcare and opportunities to form social relationships. Many of the human rights violations against those with leprosy stem from the language used in reference to the disease. The word ‘leper’ has been outlawed by the World Health Organisation as it is derogatory and offensive: for centuries it has been used to justify excluding those affected by leprosy from society, which has severely hindered effective study and treatment of the disease. In societies where Christianity has been the dominant religion, a simple case of mistranslation has led to centuries of discrimination. When the Hebrew Bible was translated into English, ‘leprosy’ mistakenly became associated with all skin infections and ailments associated with uncleanliness, and physical symptoms deemed horrific were seen as a manifestation of holy punishment for sins. Since then, the term ‘leper’ has been a powerful reflection of human fear towards the unfamiliar, the unknown, and the undesirable. However, the leprosy of the Bible is barely related to the curable disease that around a quarter of a million people are diagnosed with each year, yet it still carries the heavy burden of stigma. Early Hindu texts reveal the same fate assigned to the perception of leprosy as being a disease of sin and uncleanliness. The combination of Hindu myths about leprosy and the Christian beliefs of India’s colonisers have ensured that attitudes towards leprosy have remained appalling, ranging from unsympathetic to severely abusive. The Lepers Act, 1898 which was initially enacted by the government of British India was repealed in 1985; however there are still numerous laws at both state and national level which reveal human rights violations against those with leprosy. The Orissa Municipal Act, 1950 prohibits people affected by leprosy from standing for any election in the state of Orissa, a flagrant violation of a person’s Right to Freedom from Discrimination and the Right to Participate in Government as decreed in the Universal Declaration of Human Rights. The Hindu Marriage Act, 1955 states that having leprosy is grounds for divorce, if the spouse is suffering from “a virulent and incurable form of leprosy”. This attitude is also present in the Dissolution of Muslim Marriage Act, 1939, the Indian Christian Marriage Act, 1872 and the Indian Divorce Act, 1869. This demonstrates deeply engrained misconceptions which are prevalent throughout India, as medical advancements have proven that leprosy is entirely curable and that 95% of the population are naturally immune to the disease. Examining the Bombay Prevention of Begging Act, 1959 exposes the true extent of human rights abuses suffered by those with leprosy. Under this legislation, people with leprosy found begging can be detained, and removed to a ‘leper asylum’. 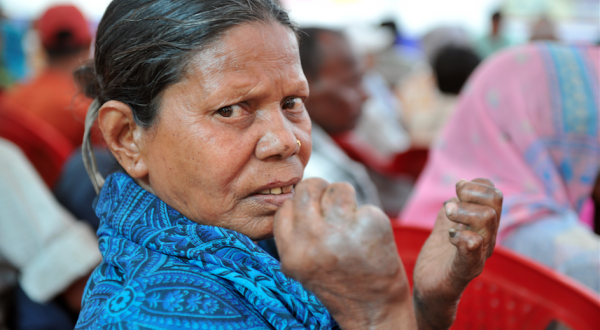 As well as violating the Right to Equality before the Law, which states that no person shall be discriminated against on grounds of disability, the legislation exposes the low socio-economic status of people with leprosy that is a direct result of the human rights abuses provoked by collective discrimination. Furthermore, it encapsulates the erroneous belief that people with leprosy should be forcibly confined in order to prevent the spread of disease. That they have been singled out in legislation demonstrates that those with leprosy are frequently found to be begging, a form of obtaining income which is redolent of the fact that rights abuses strip people of their self-worth and dignity. Being obstructed from what is, for many, the only available method of supporting themselves or families therefore ensures they remain trapped in a cycle of chronic deprivation. Additional laws restrict travel on public transport and the ability to obtain a driving license, which clearly impedes employment opportunities, further resigning those with leprosy to a life of extreme poverty. Community education initiatives have been shown to have an overwhelmingly positive effect on reducing de facto human rights violations against those with leprosy by encouraging inclusion; however these efforts are impeded by de jure discrimination. The exclusion that results from stigma discourages early detection of the disease, resulting in severe secondary disabilities which act as a visual provocateur for society to commit human rights abuses in the first place. Thus stigma initiates a vicious cycle, as stigma and disability reinforce each other, concurrently getting progressively worse. The use of the word ‘leper’, the continuing existence of leprosy colonies originally established by British colonisers, and discriminatory legislation perpetuate the idea that those living with leprosy, or cured of it but living with disability, are not worthy of being treated with dignity, and at worst, that they are subhuman. 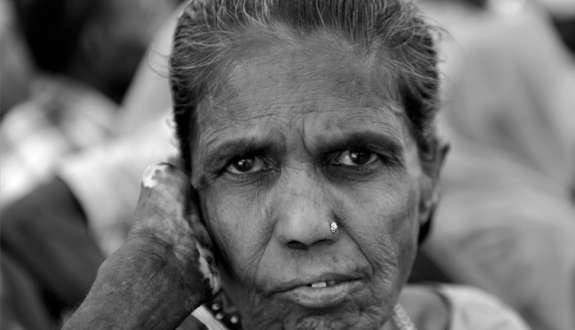 Human rights violations often arise from vulnerability and misconceptions; marginalised people living with leprosy in India are a paradigm of this. The bottom line is that no one should be defined by a disease. 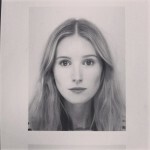 Rebecca is a postgraduate student, studying Human Rights Law at Birkbeck, University of London. She is also a research intern at Lepra, an international development charity working in India and Bangladesh. She graduated last year with a First Class degree in English Literature & Film from University of Southampton and believes that literature and cinema (in particular, documentaries) are great tools for advocating for social justice! Rebecca is particularly interested in human rights in South Asia, and is looking forward to learning more about the region over the course of her degree, and through supporting HART UK.